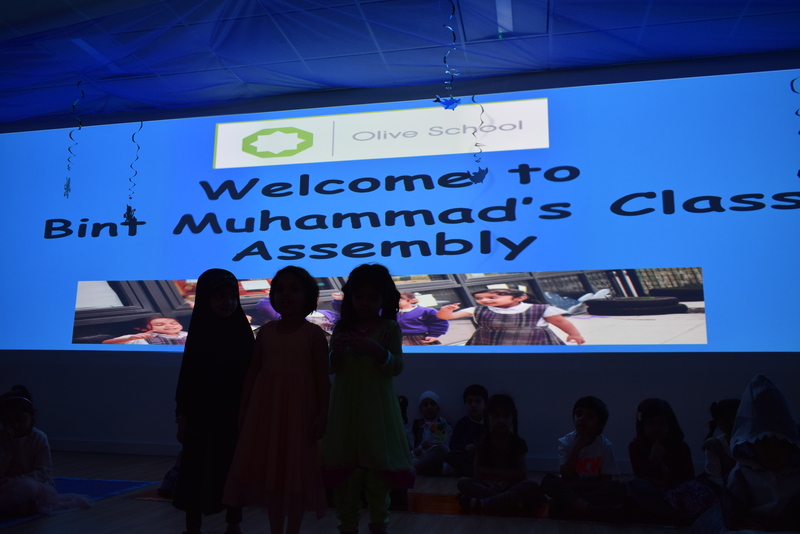 Monday 6th February 2017 – Weekly Hadeeth Assembly was linked to Oppression and Teamwork. 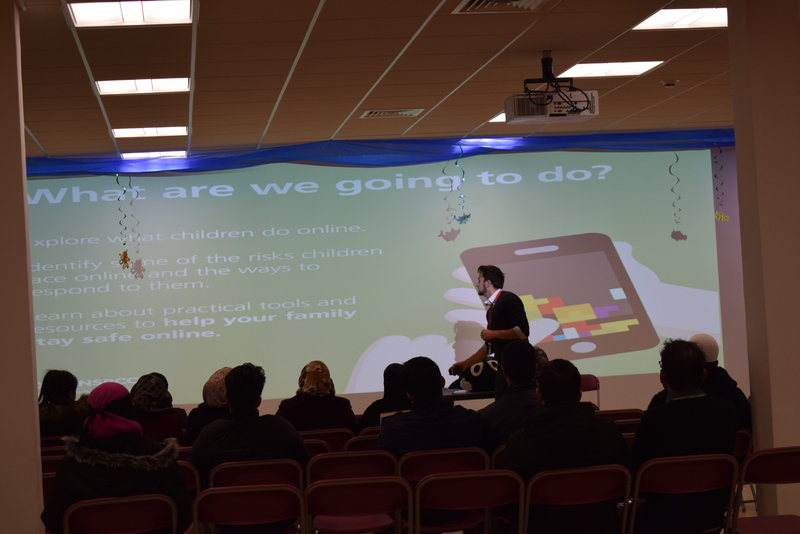 Parents attended a ‘Staying Safe Online’ Workshop which was delivered by the NSPCC. 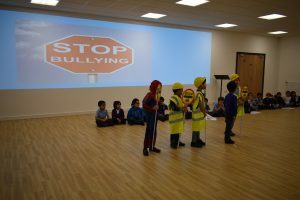 Important messages and actions were shared about how collectively we can keep the young children safe. 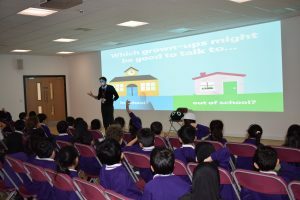 Tuesday 7th February 2017 – Pupils took part in a variety of workshop and lessons about how to stay safe on the Internet. 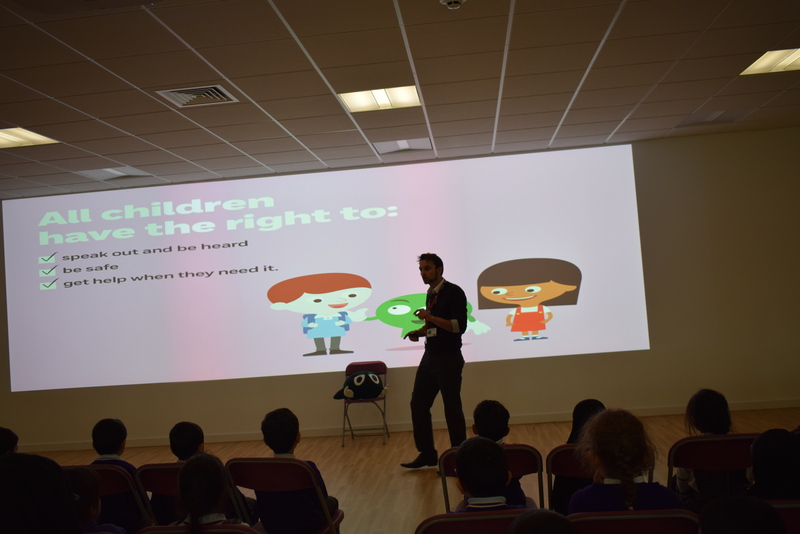 Pupils also had an assembly delivered by the NSPCC. Wednesday 8th February 2017 – As always, pupils worked hard in all areas of their learning. 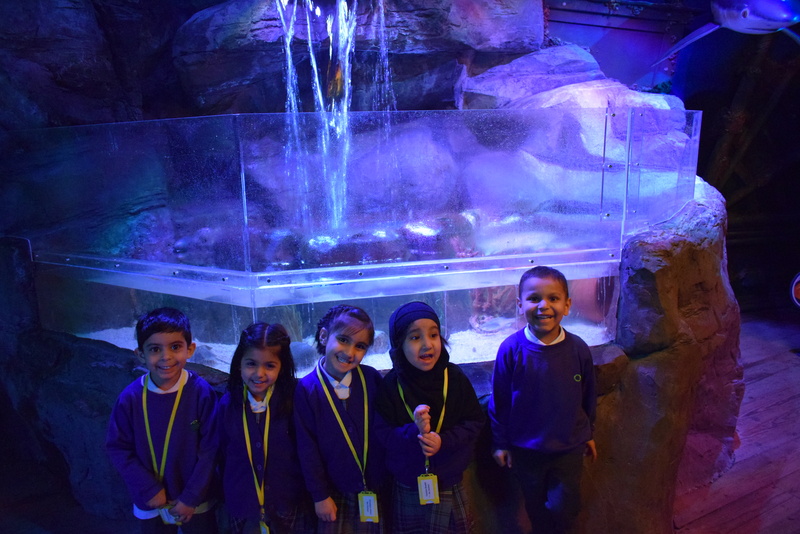 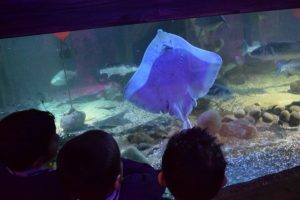 Reception pupils visited the Blackpool Sea Life Centre as part of their ‘Under the Sea’ topic work. 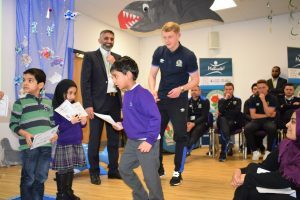 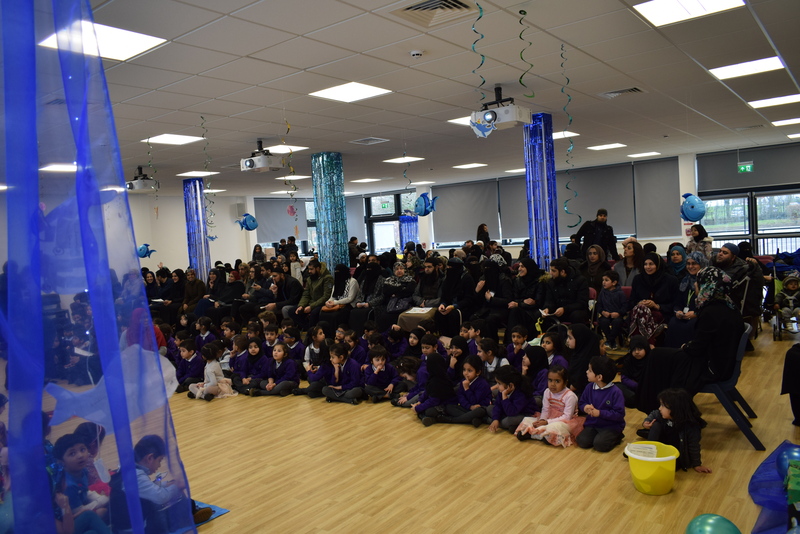 Thursday 9th February 2017 – Pupils in Bint Muhammad worked very hard to deliver their class assembly, to a packed audience on the importance of the Fundamental British Value of ‘ Equality.’ This was illustrated through the use of the story, ‘The Rainbow Fish,’ with the key message that WE ARE ALL EQUAL. 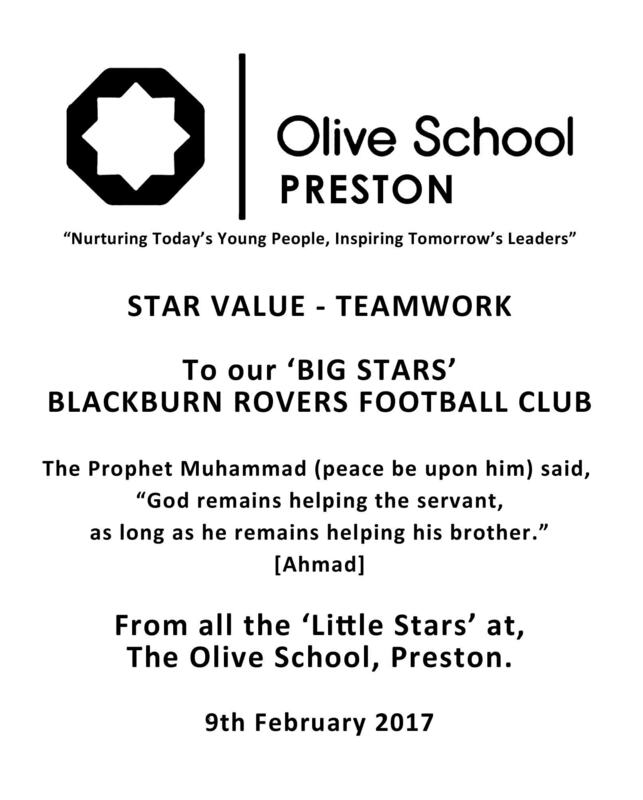 Friday 10th February 2017 – The Star of the Week was celebrating the STAR value of TEAMWORK. It is great to acknowledge the following Stars of the Week. 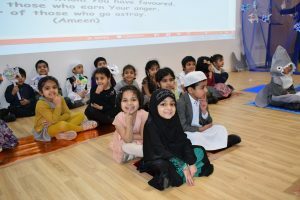 The Attendance reward for w/c 6th February 2017 was IBN SALAAMAH. 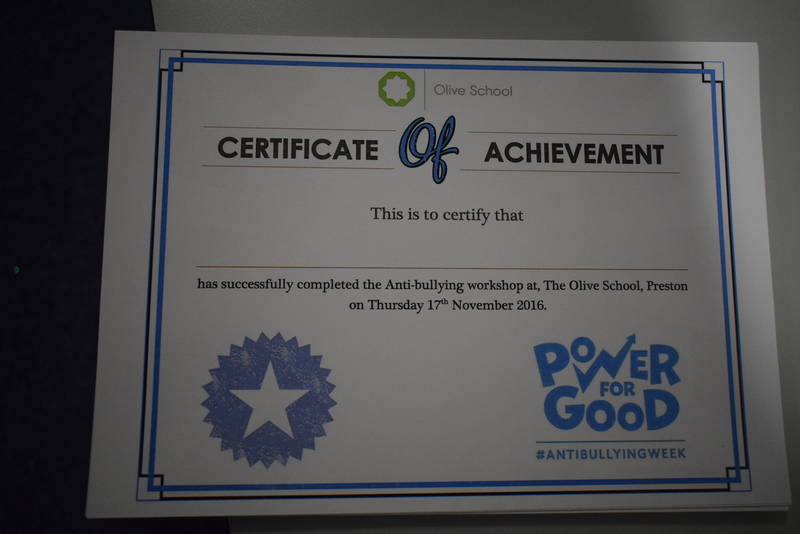 Well done to Miss Amin, Miss Isap and the pupils in Bint Qays. 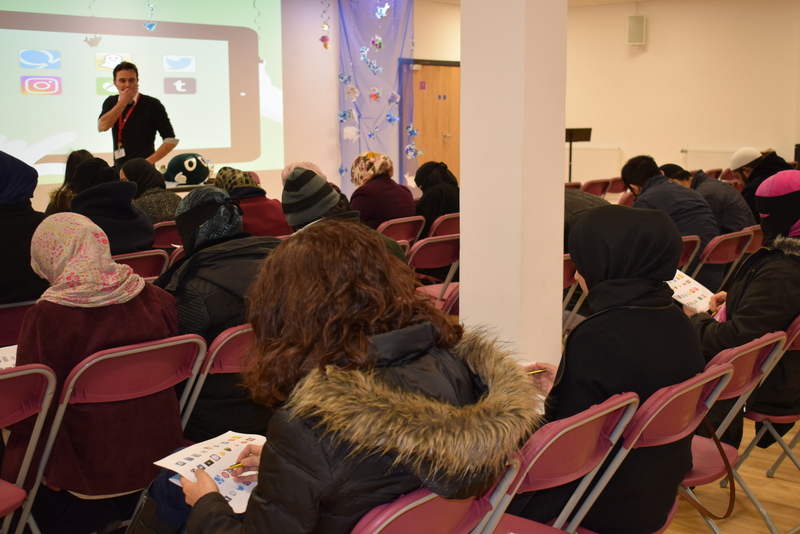 Monday 30th January 2017 – Weekly Hadeeth Assembly on the Hadeeth of the Week which was linked to Oppression. 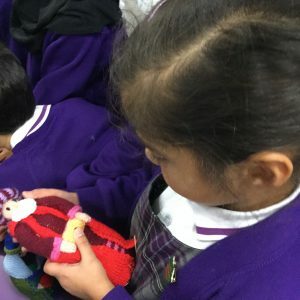 As a school we looked at Kindness. 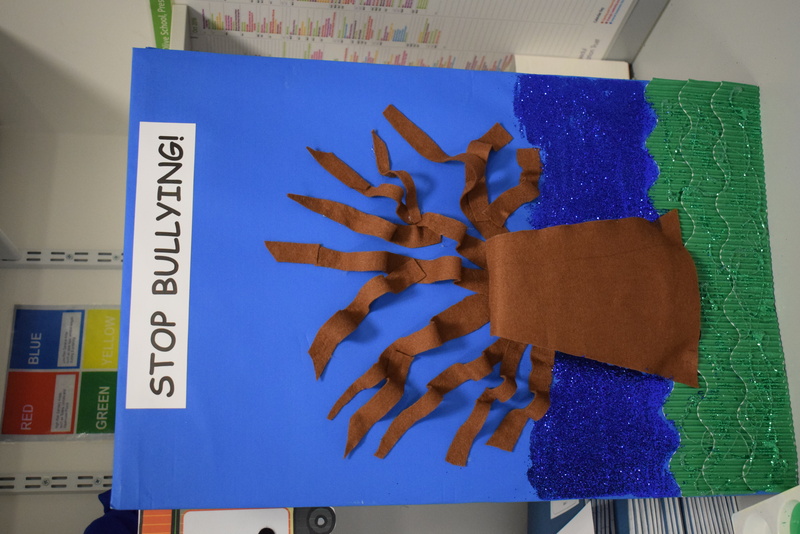 If an individual is kind, then oppression will not occur. Tuesday 31st January 2017 – Pupils and staff worked hard and made John Gornall, our visitor very welcome at the school. 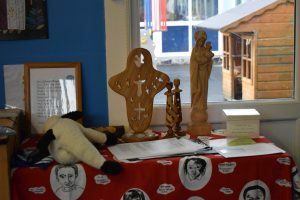 Wednesday 1st February 2017 – As always, pupils worked hard in all areas of their learning. 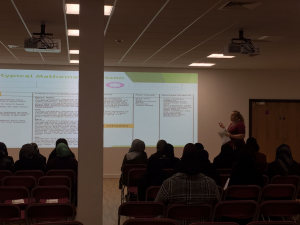 Thursday 2nd February 2017 – 2nd Parent Workshop for EYFS Parents on Mathematics. 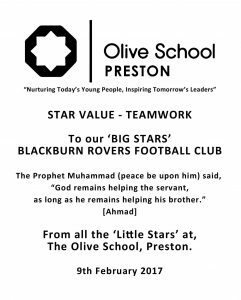 Friday 3rd February 2017 – The Star of the Week was celebrating the STAR value of RESPECT. 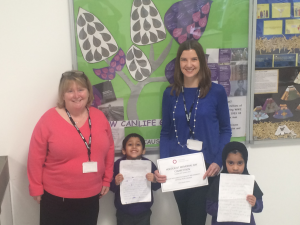 It is great to acknowledge the following Stars of the Week. 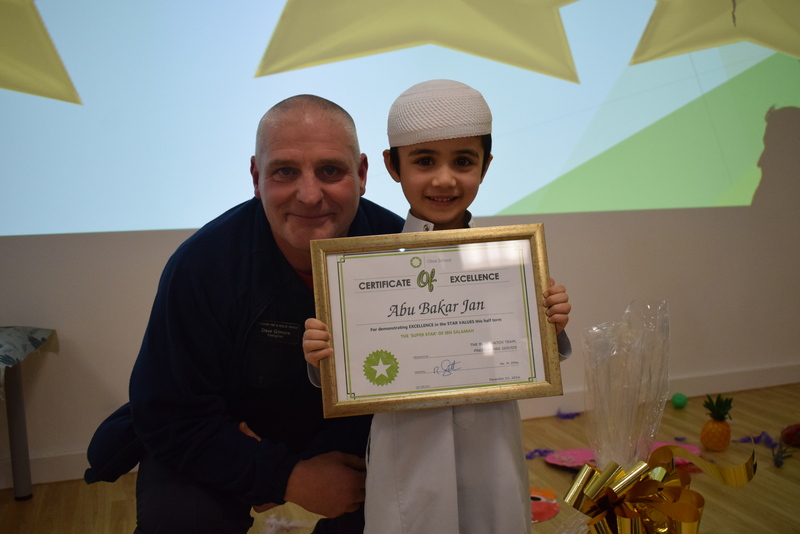 The Attendance reward for w/c 30th January 2017 was IBN SALAAMAH. 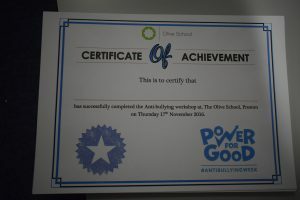 Well done to Miss Amin, Miss Isap and the pupils in Bint Qays. Monday 23rd January 2017 – Weekly Hadeeth Assembly on the Hadeeth of the Week which was linked to Oppression. 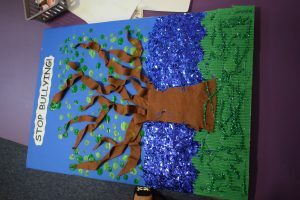 This was specifically themed to coincide with the Holocaust Week. 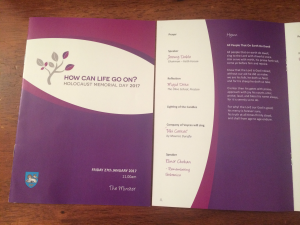 Deadline for entries to the Holocaust Memorial ‘How Can Life Go On?’ competition. 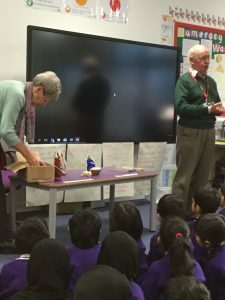 Tuesday 24th January 2017 – Lesley Pritchard (Equality and Diversity Officer for Preston City Council) and Michelle Pilling attended the Olive School Preston to judge the Holocaust competition entries. 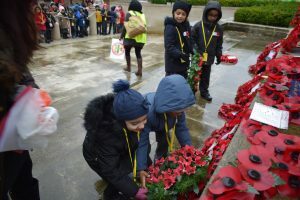 This was done in conjunction with the Pupil Shuraa (School Council). 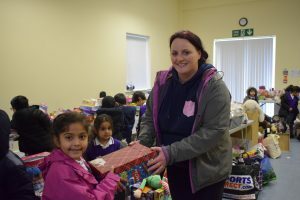 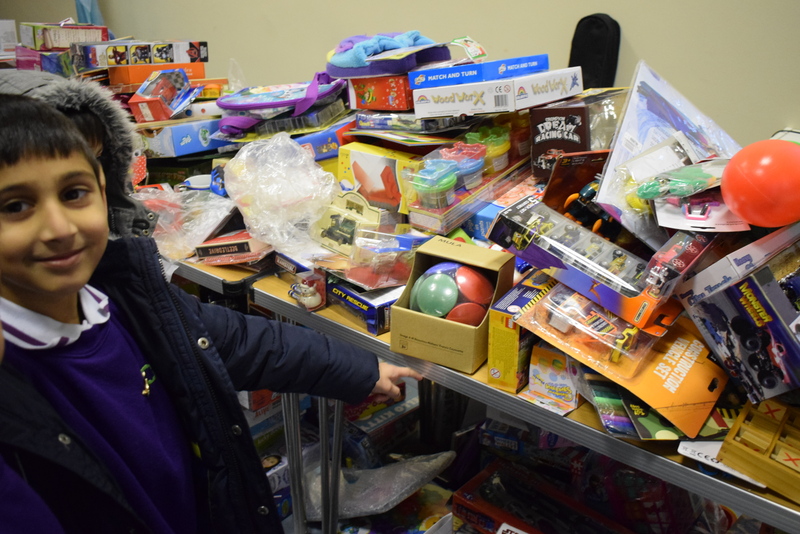 Pupil Shuraa also received the trolley of toys they have been raising money for. 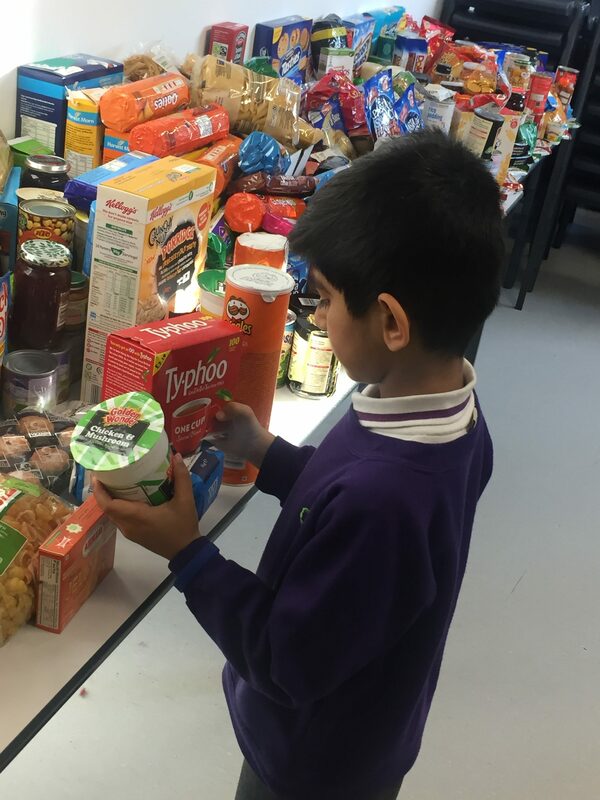 This is for the pupils to use at break and lunchtime. 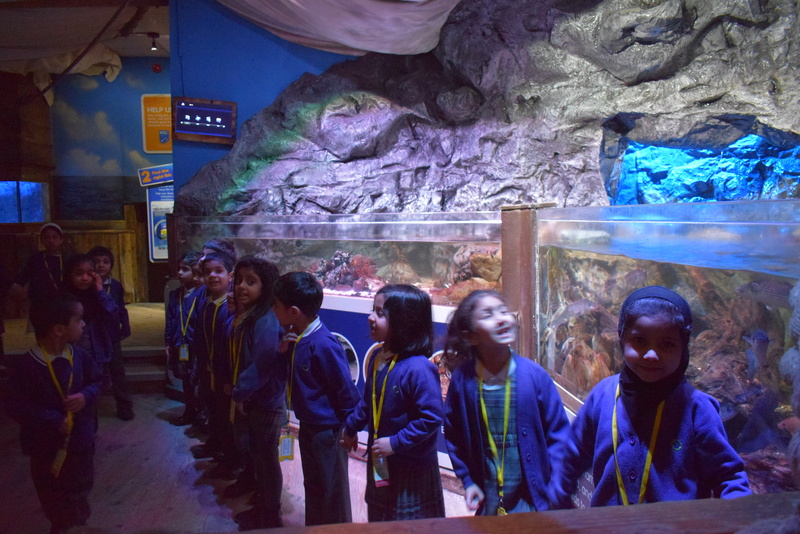 Oh Almighty, You made us all look different but we are all actually the same inside. 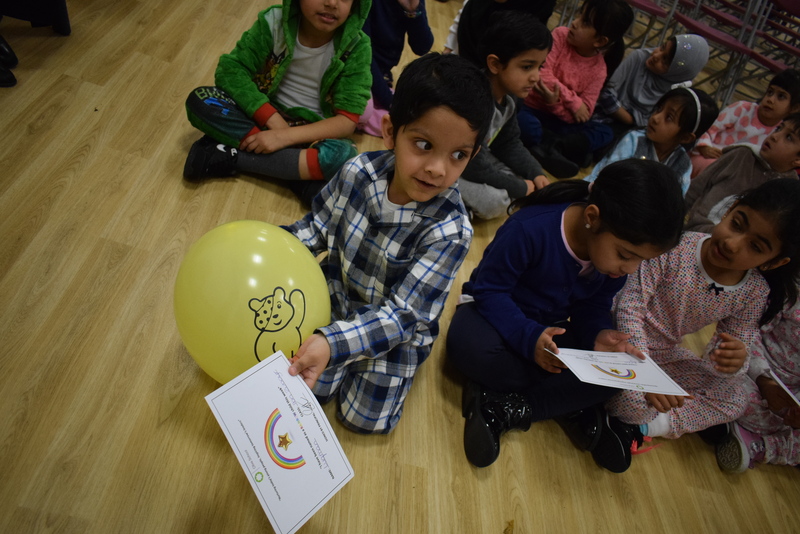 Our feelings are the same and we share them with others. 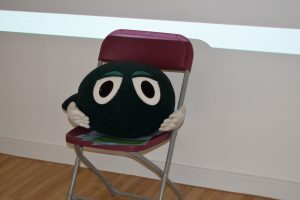 Help me not to think like those who think they are the best and help everyone else to not think like that either. 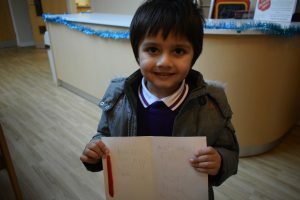 This shows that I really care. 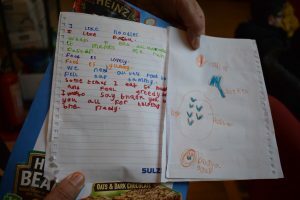 For example my purple bike. It feels great, it is not for show. I know it would be a real shame. 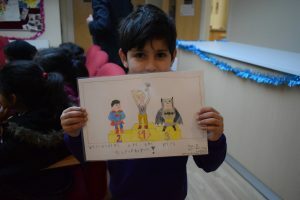 I’ll carry on sharing with a grin. 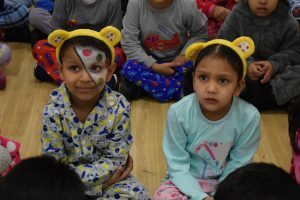 Tuesday 24th January 2017 – Monthly Newsletter went home to all parents. 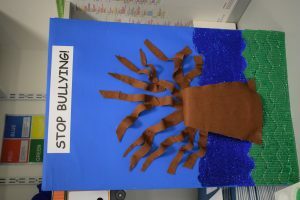 Wednesday 25th January 2017 – All pupils were creating work for the Holocaust after their Class Assembly. Thursday 26th January 2017 – Thankyou to all the EYFS parents who attended the Mathematics workshop on Thursday 26th January 2017. We are confident that the workshop will be useful in helping EYFS continue to make great progress in Number and Shape, Space and Measure. Thursday 26th January 2017 – Thankyou to the parents who attended the monthly Principal’s surgery. 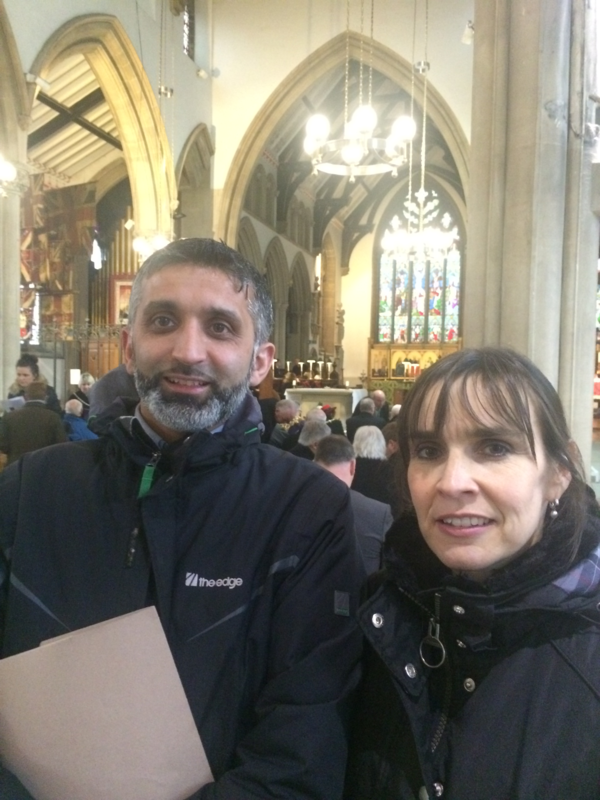 Friday 27th January 2017 – The Principal, Mr Ditta, attended the Ministry in Preston with Miss A Middlemass, Principal of the Eden. The winning poems from the Holocaust competition were read out in front of the packed congregation. 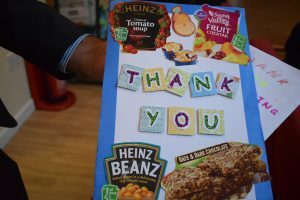 ‘This was a true privilege,’ commented Mr. Ditta. 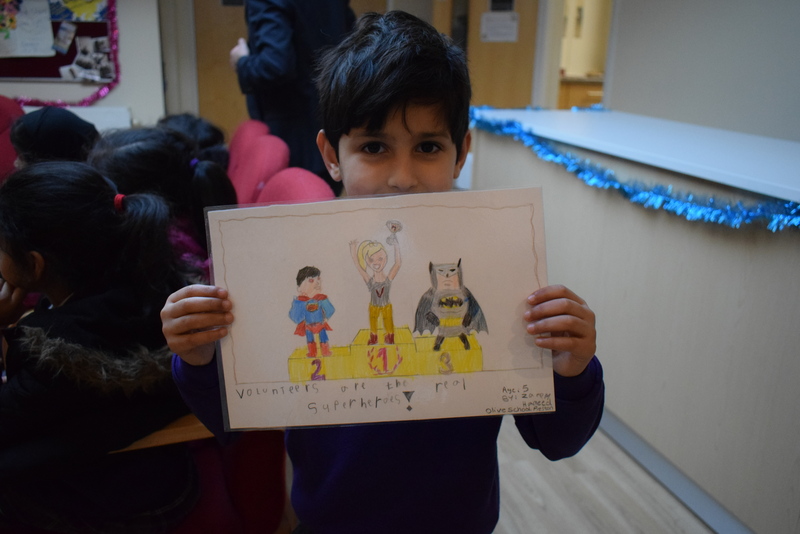 Friday 27th January 2017 – The Star of the Week was celebrating the STAR value of Teamwork. It is great to acknowledge the following Stars of the Week. 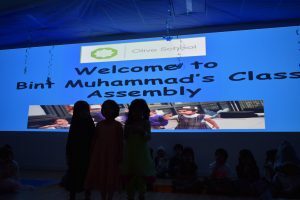 – Bint Muhammad – Firdous Manjra. 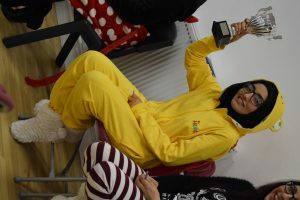 The Attendance reward for w/c 23rd January 2017 was BINT QAYS. Well done to Miss Abdullah, Miss Patel and the pupils in Bint Qays. Thankyou to all the targeted parents who attended the IEP and the PRM meetings this week. 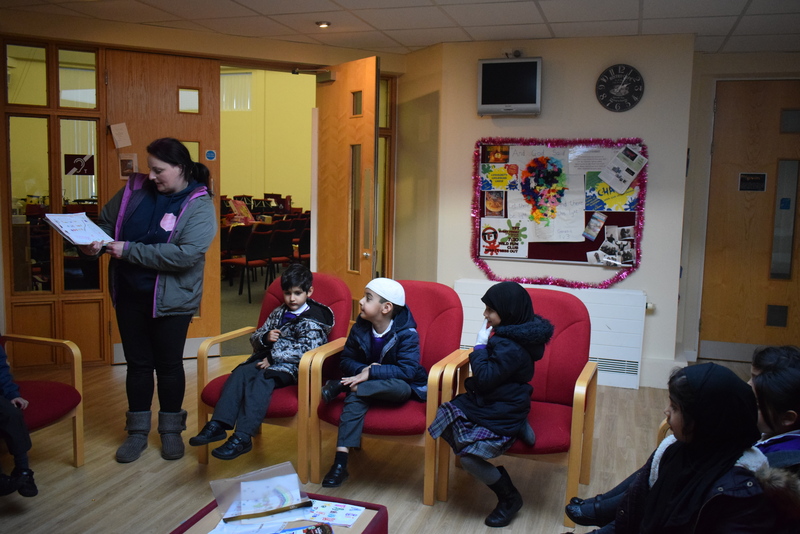 Monday 16th January 2017 – Weekly Hadeeth Assembly on the Hadeeth of the Week which was linked to Animal Cruelty. 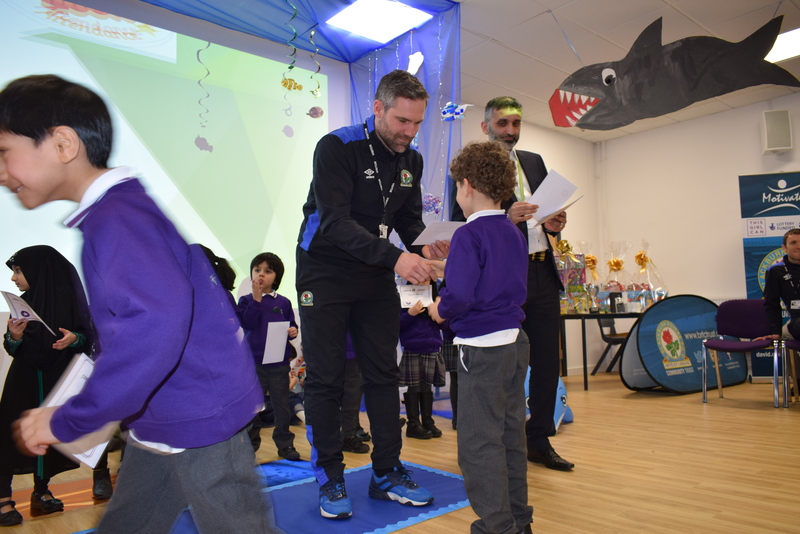 Tuesday 17th January 2017 – Principal and Deputy Principal spent time in all the classrooms and were delighted by the standard of Learning and Teaching in the classes. 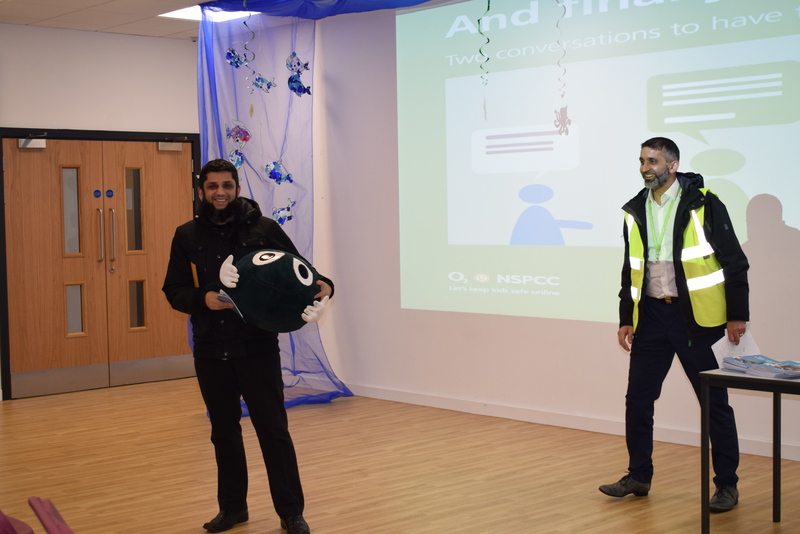 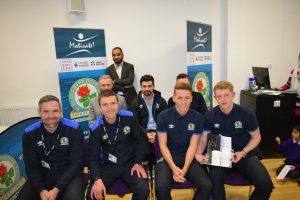 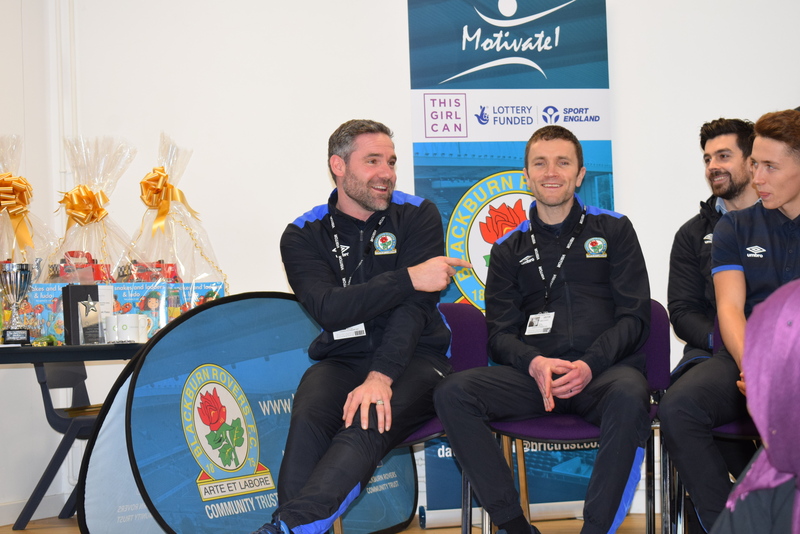 All the staff were fortunate enough to visit Blackburn Olive for Autism Training. Wednesday 18th January 2017 – Principal and Deputy Principal spent time in all the classrooms and were delighted by the standard of Learning and Teaching in the classes. 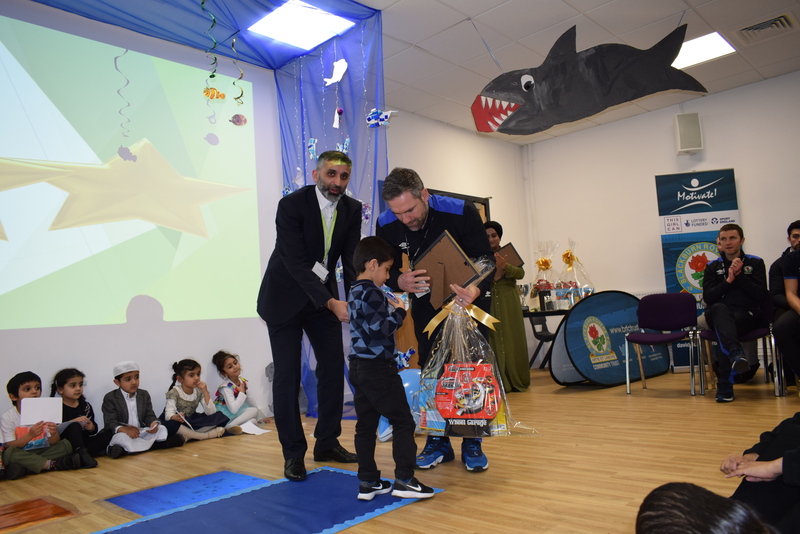 The Ballot Process closed for the election of the Parent Governor. 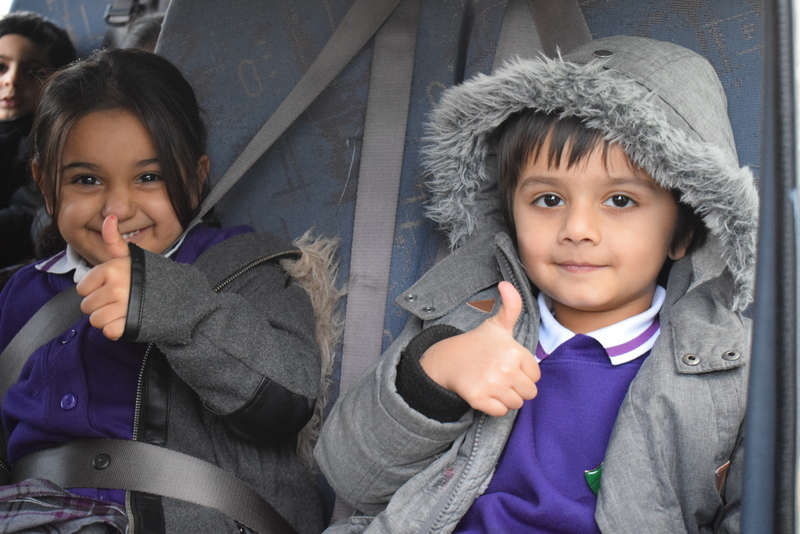 Thankyou to all the Parents who took the time to vote in the election process. Thursday 19th January 2017 – The Parent Governor Ballot Count took place. Currently checks are taking place and the elected Parent Governor will be announced in due course. 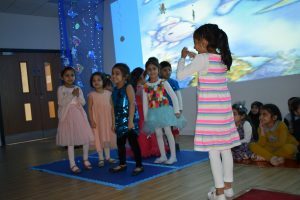 Friday 20th July 2017 – The Star of the Week was celebrating the STAR value of Teamwork. 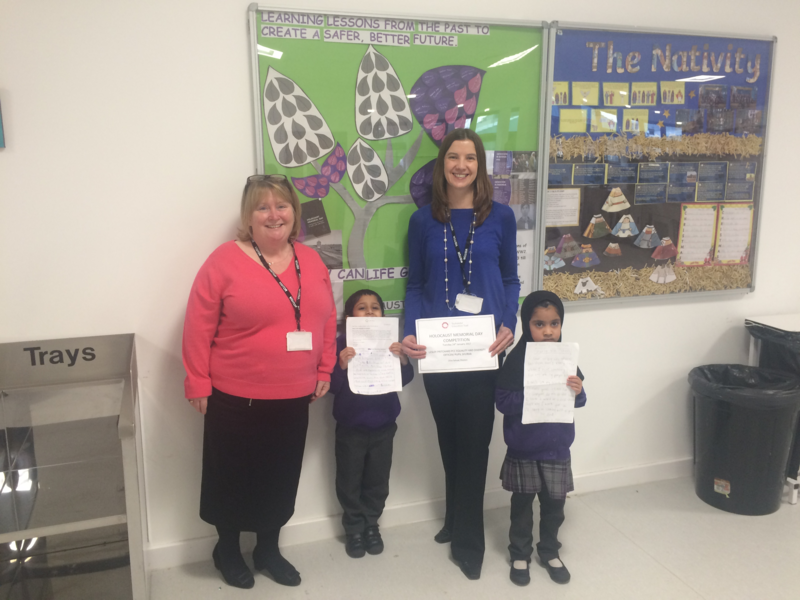 It is great to acknowledge the following Stars of the Week. The Attendance reward for w/c 16th January 2017 was IBN SALAAMAH. 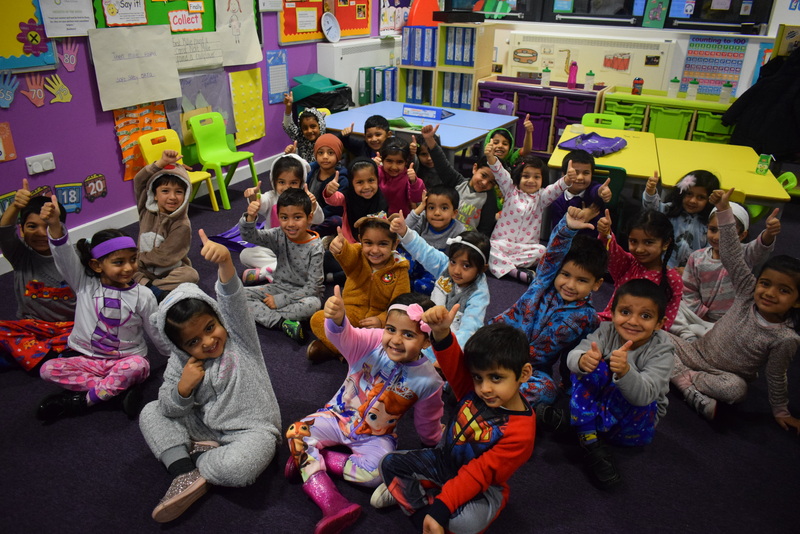 This particular class have now won the award NINE times. 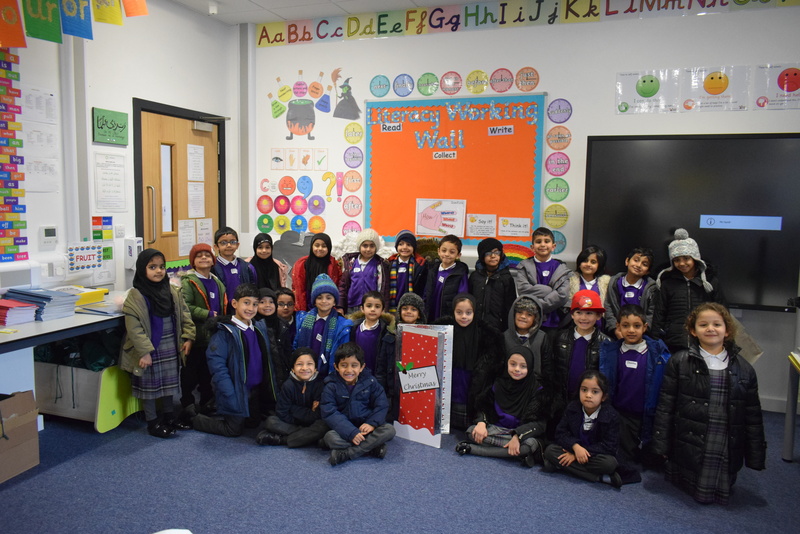 Well done to Miss Amin and Miss Isap and the pupils in Ibn Salaamah. In the assembly, we also launched the competition for The Holocaust Memorial Day on Friday 27th January 2017. Entries will close on Monday 23rd January 2017. 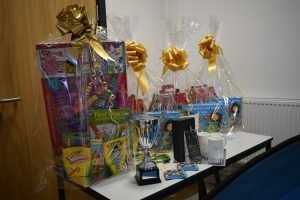 All pupils are welcome to participate in the competition which is highlighting the important value of ‘EQUALITY.’ The theme for the HMD this year is ‘How Life Goes On?’ The competition will be judged on Tuesday 24th January by the Pupil Shuraa and the Equality and Diversity Officer for Preston City Council. Good Luck to all the pupils! Monday 9th January 2017 – Pupils and staff returned after a long break over the Christmas period. It was great to see the Olive School Preston family back again. An assembly reinforcing the Golden Rules and the Hadeeth of the Week was carried out by M Munir. Tuesday 10th January 2017 – Pupils were getting back into the stride of things and getting used to the routines and expectations again. 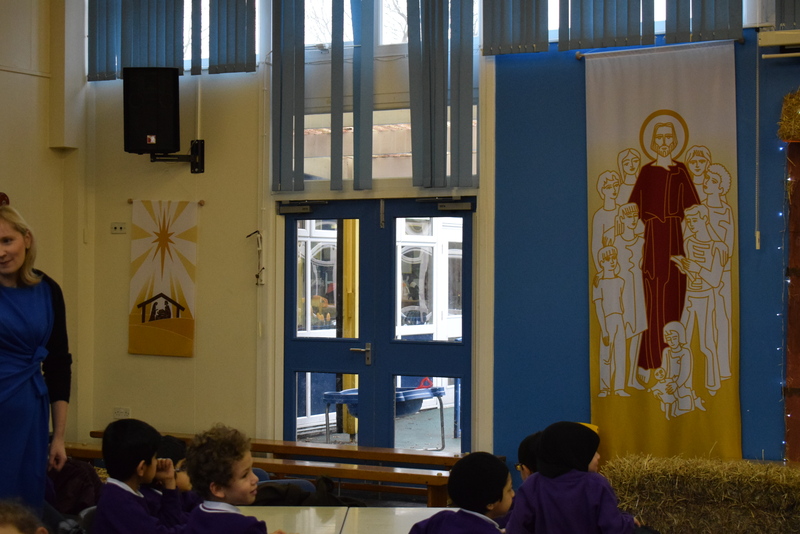 Wednesday 11th January 2017 – Pupils had the class assembly reinforcing the Golden Rules. 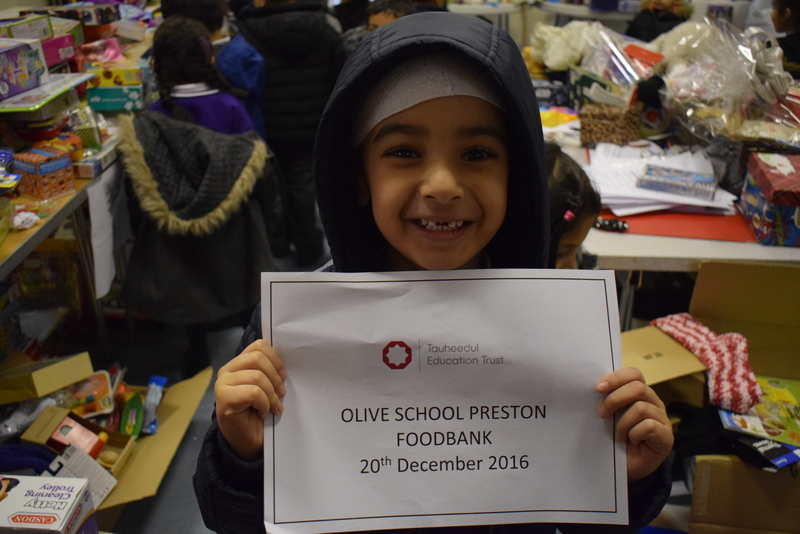 Thursday 12th January 2017 – An every day experience for all at the Olive Preston. The Attendance reward for w/c 9th January 2017 was IBN SALAAMAH. 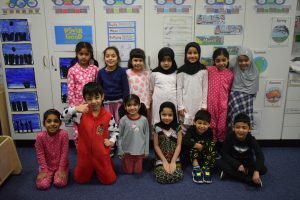 This particular class have now won the award EIGHT times. Well done to Miss Amin and the pupils in Ibn Salaamah. 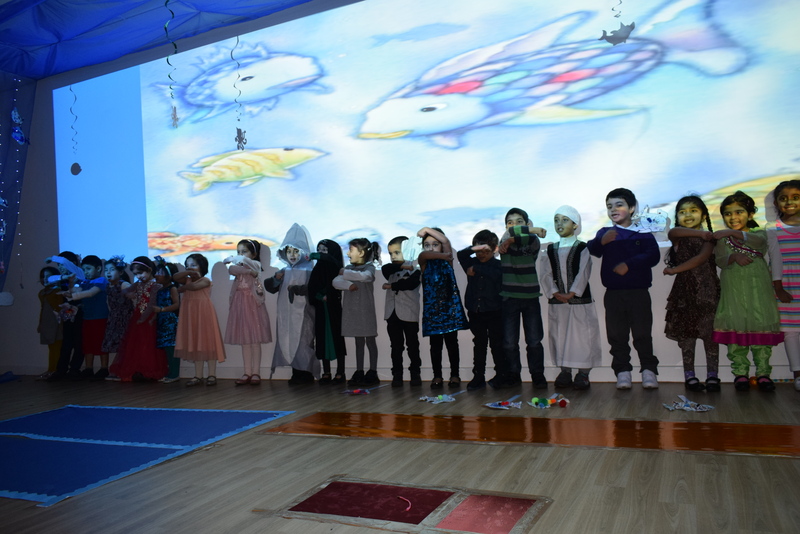 Autumn Term 2 Report Cards were issued to Parents. 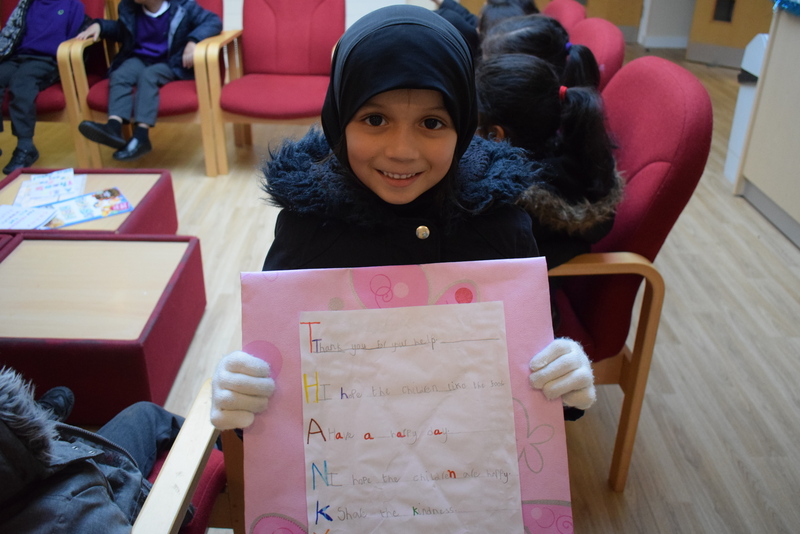 Monday 19th December – The collection for ‘The Winter Refugee Programme closes today. 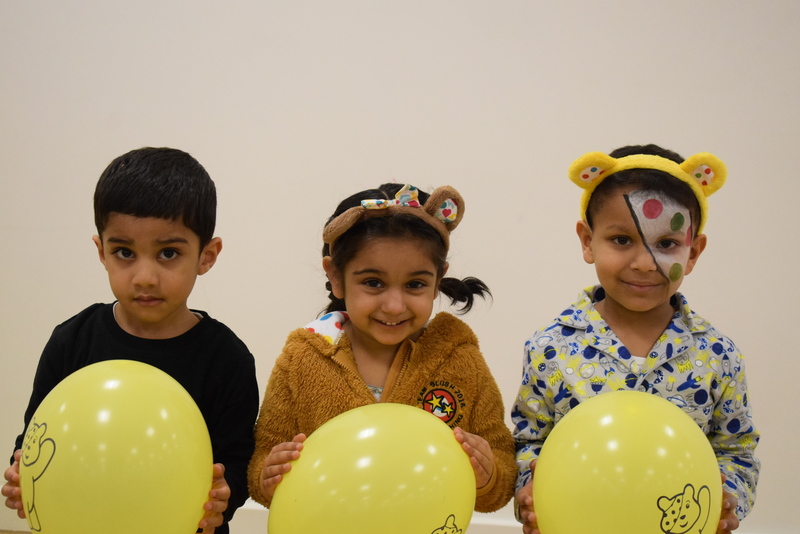 Thank you to those parents who have donated already we have managed to raise over £4000! 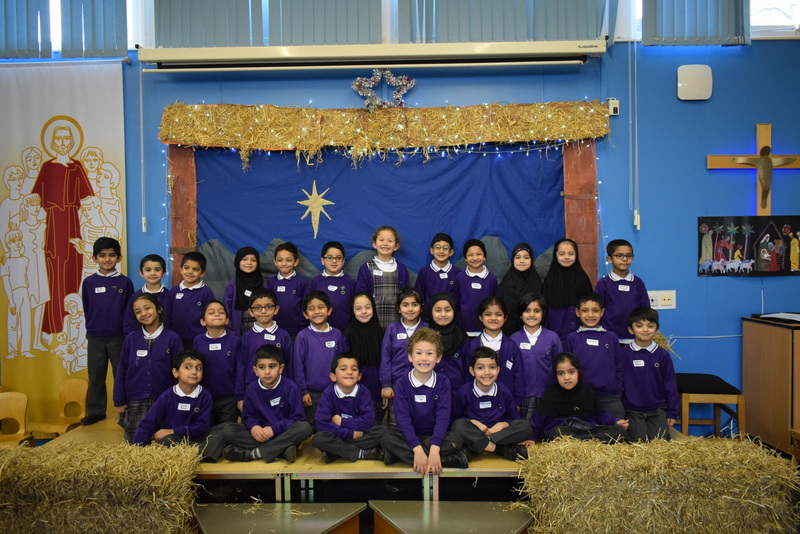 The children will also hear about the Islamic Perspective of Christmas today in their Assembly. Tuesday 20th December – The Foodbank collection closes today. 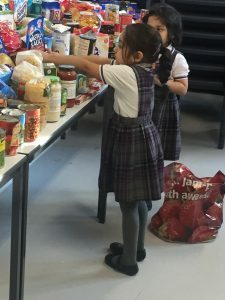 Thank you to those parents who have donated to support the people of Preston who are in need. 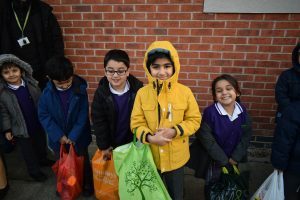 The Parent Shuraa have taken the donations to the Salvation Army in the town centre. 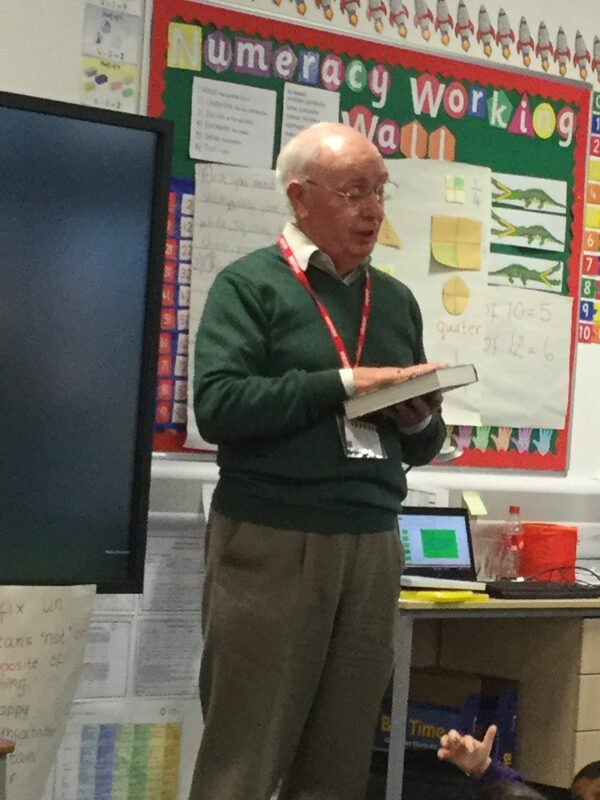 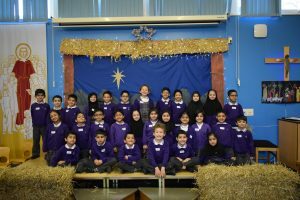 There was also an assembly taking place today on Christianity and Christmas by Derek Estill from Blackburn with Darwen Interfaith Forum. 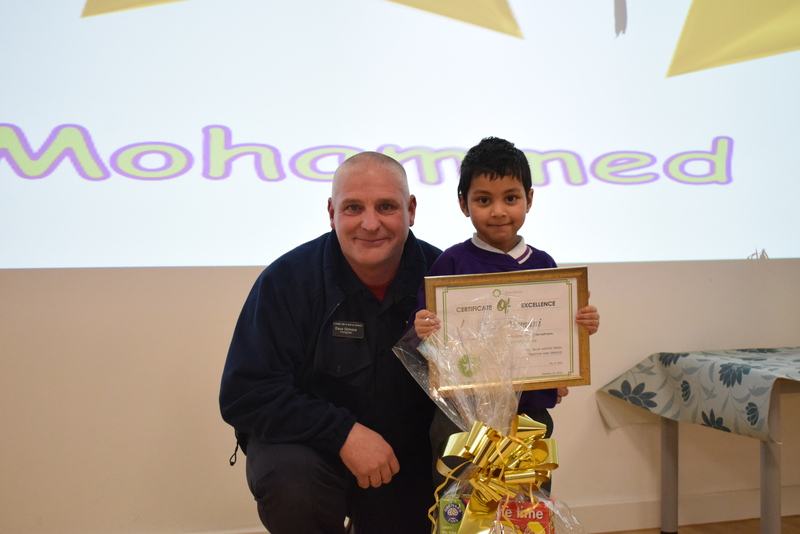 Wednesday 21st December – Our ‘Big Star, Little Star’ Assembly takes place today featuring ‘Blue Watch’ from Preston Fire Station. 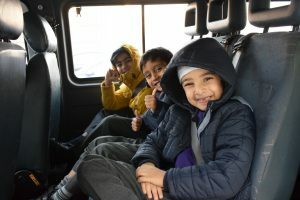 The children were fortunate to visit the Fire Engine. 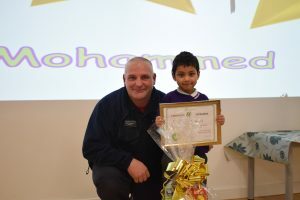 The Blue Watch Team then shared the importance of Fire Safety with the pupils and presented the ‘Little Stars’ with their Autumn Term 2 Awards. 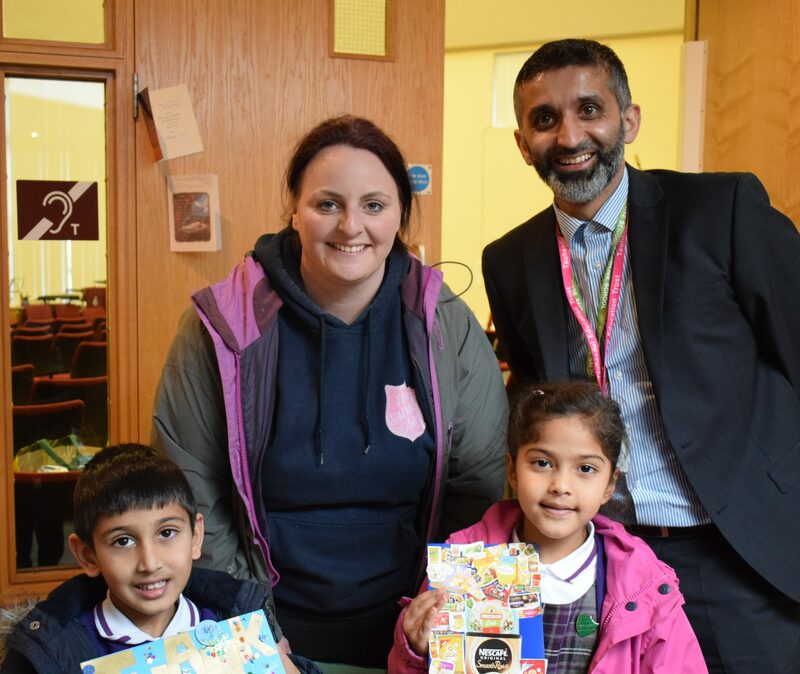 A huge well done to our Autumn Term 2 winners, in EYFS Unais and Ahmed. 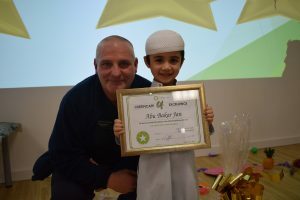 In Year 1 our Little Stars were Shayma and Abu Bakar. 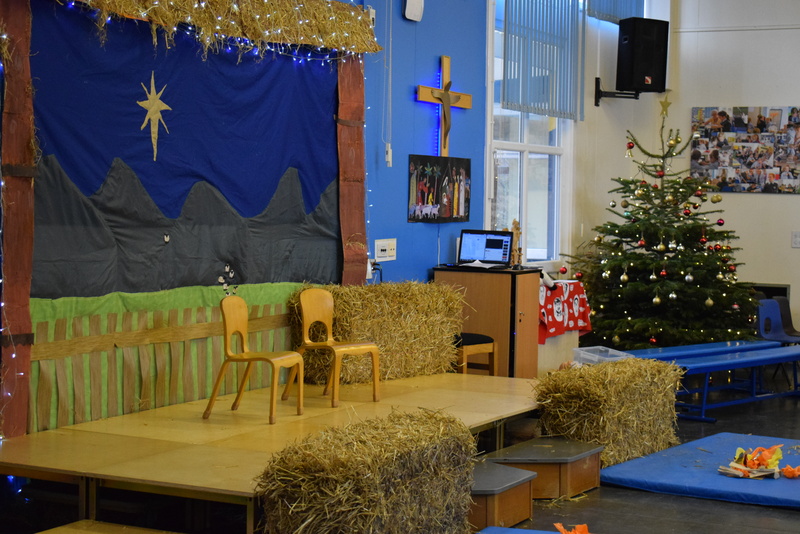 Thursday 22nd December – School closes today at 2.45pm for everyone. There will be no enrichment today. 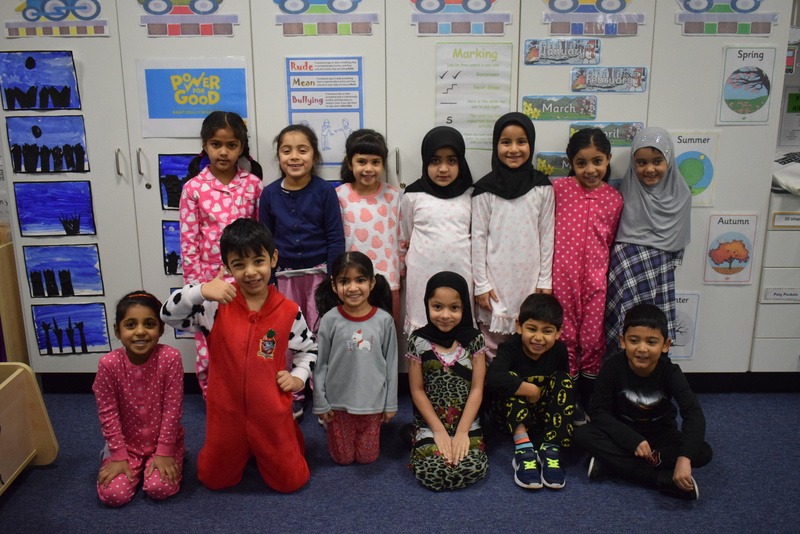 Have a nice break and we will see you all on Monday 9th January 2017 from 7.30am. 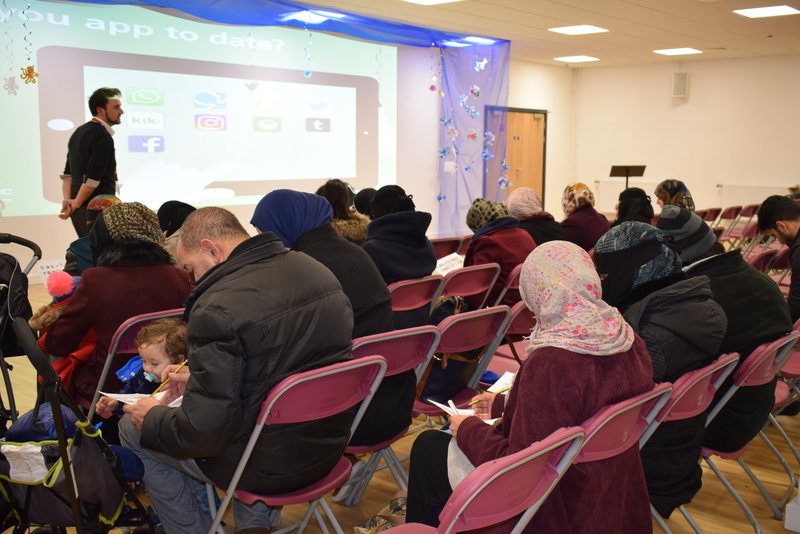 Tuesday 13th December – Parent Shuraa meeting took place at 5.45pm. 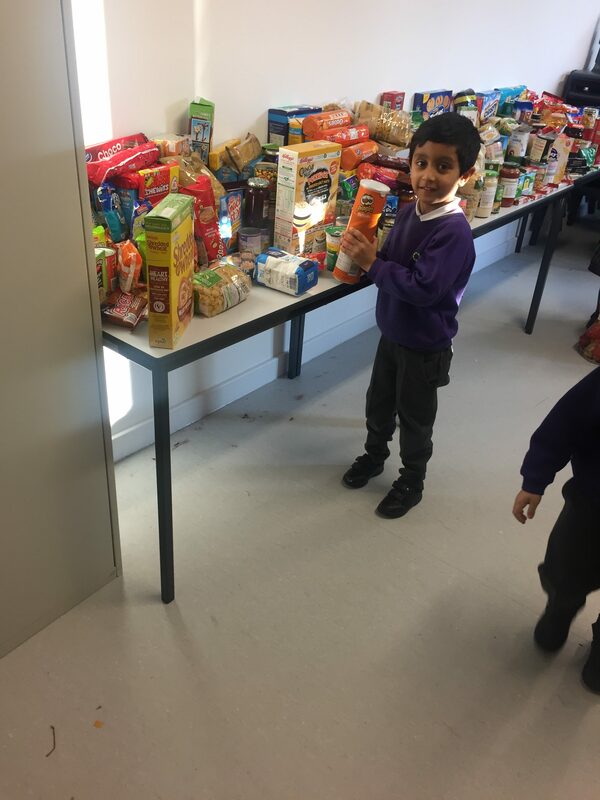 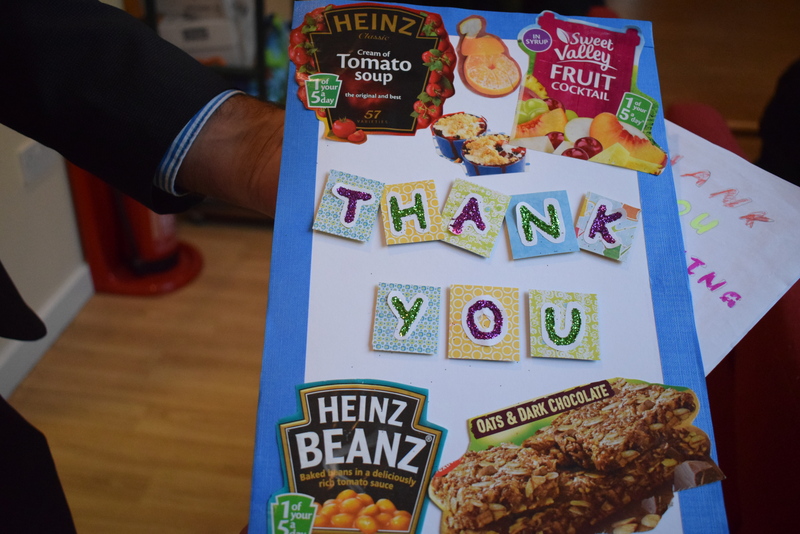 Wednesdsay 14th December – Pupil Shuraa created the ‘Food Mountain’ from donations of food for Preston Foodbank. 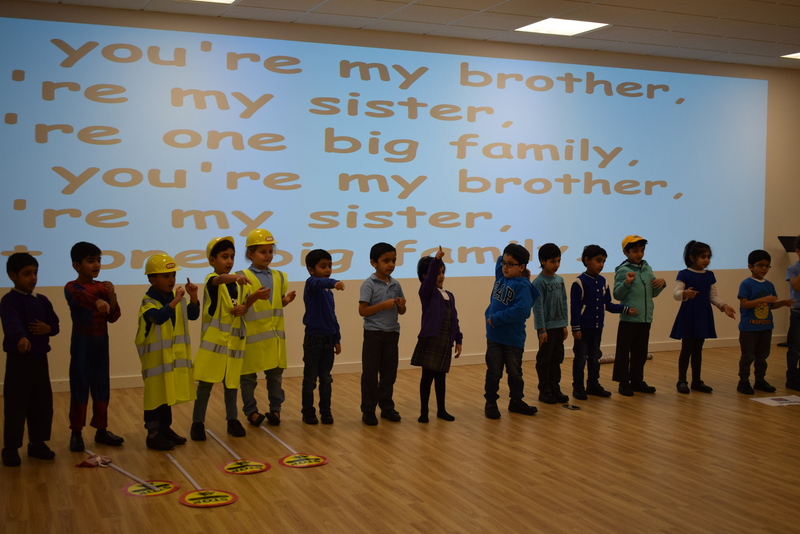 Thursday 15th December – The Year 1 Performance of ‘Handa’s Surprise’ took place for parents. 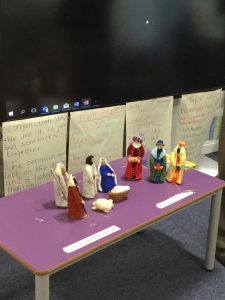 Friday 16th December – Year 1 children visited St Joseph’s Primary School to experience the ‘Christian Perspective of Christmas’ as part of their topic on Christianity. 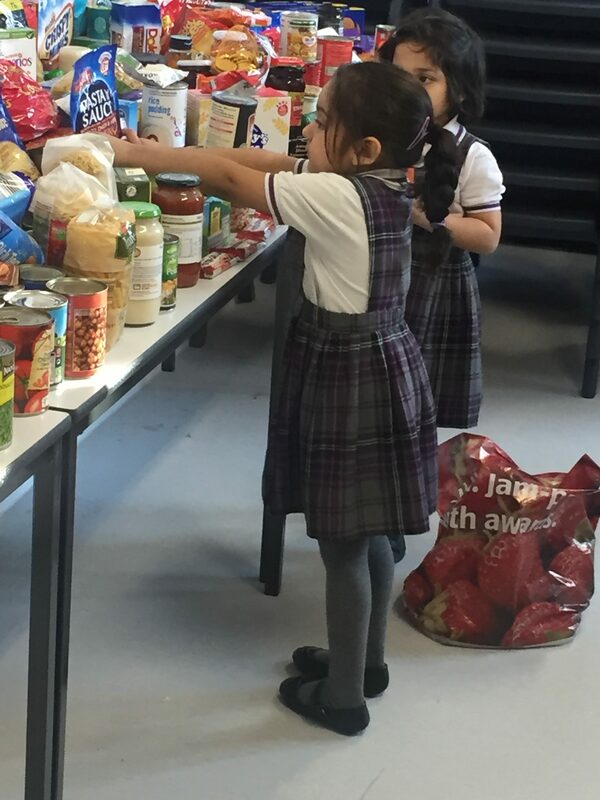 Monday 5th December – Our collection for the Salvation Army’s Foodbank has begun today. This is a fantastic event to help local families in Preston who may struggle at this time of year. 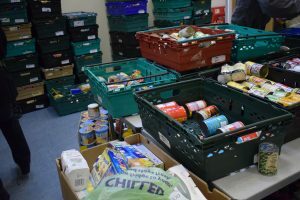 We have already been inundated with donations. 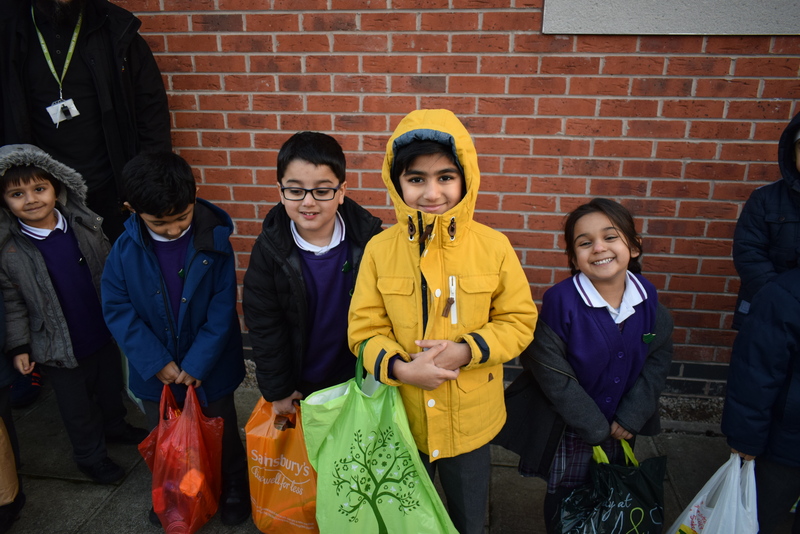 Thank you to all who have donated already, our collection will close on Tuesday 20th December when members of our Pupil Shuraa will deliver these to the collection point in Preston City Centre. 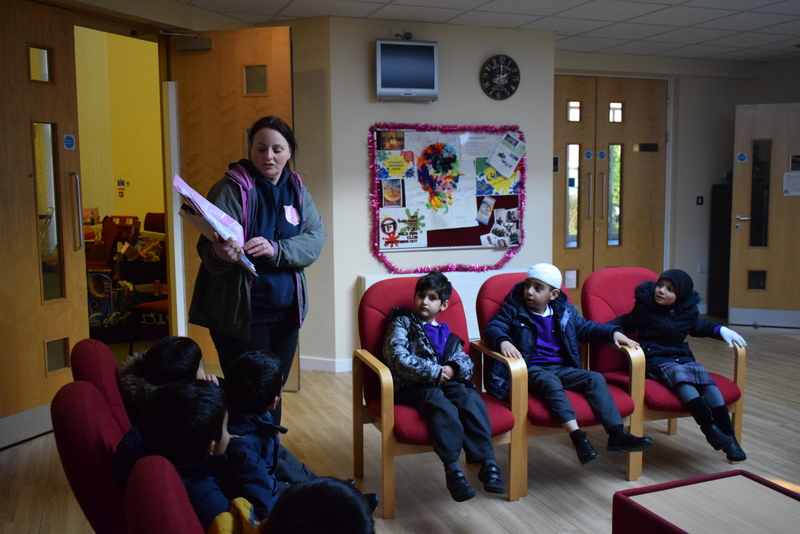 Tuesday 6th December – Today we held our first Official Fire Drill in school. 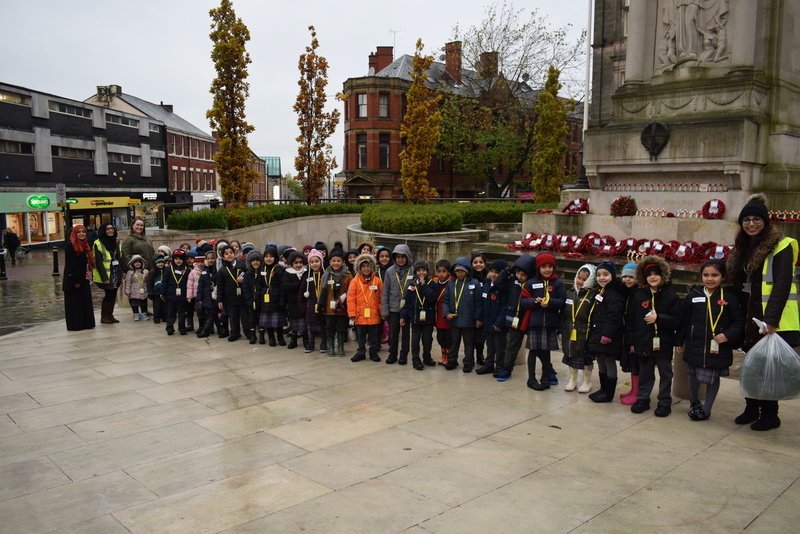 We would like to commend the children on their impeccable behaviour. This was noted by not only our staff but also those from Eden Boys. 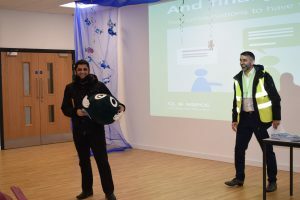 We managed to evacuate the whole building in under 3 minutes. 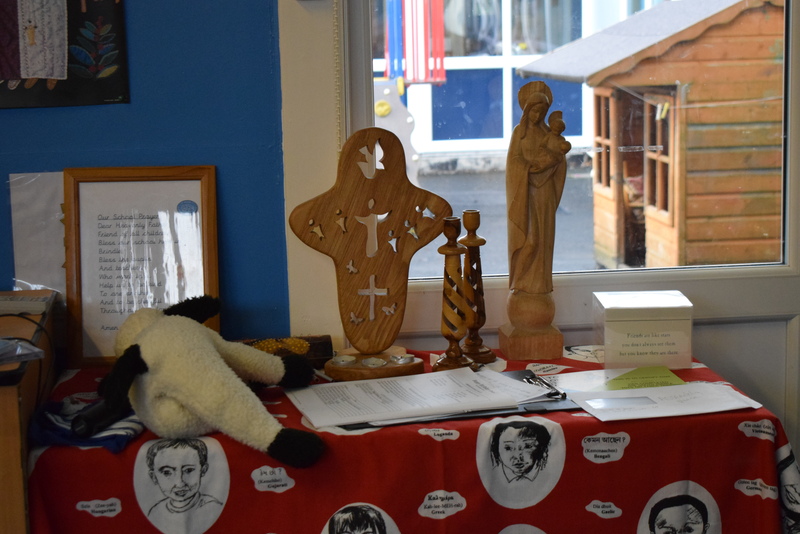 Tuesday 22nd – Today our Autumn Local Governing Body Meeting took place. 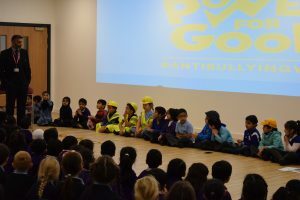 Please keep an eye out for parent governor nominations which will be released shortly. 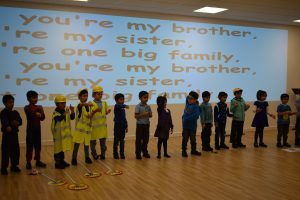 Thursday 24th – Today we have had a visitor from the DFE visit school to see what has been happening since we opened. 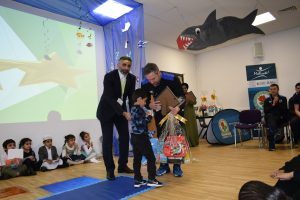 We would like to thank the children for their outstanding behaviour and for making him feel so welcome. 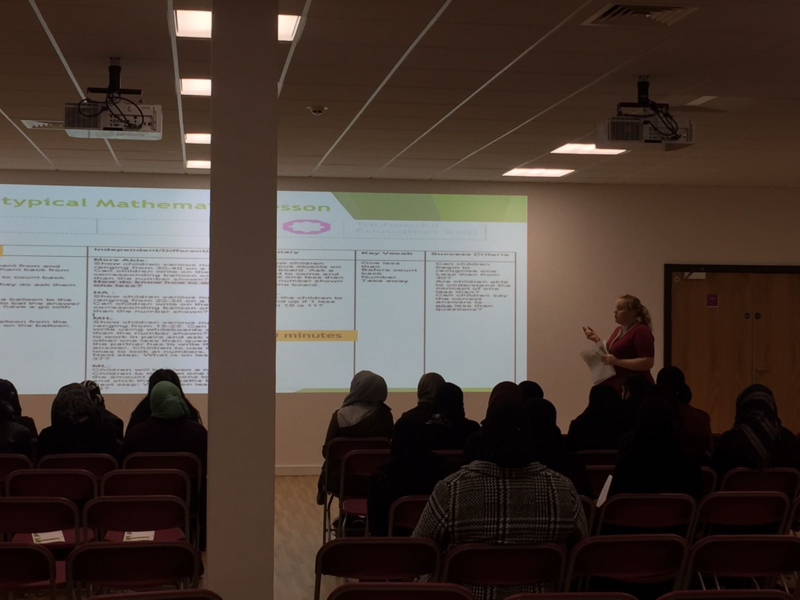 We also held a very successful open evening for new admission 2017/18. 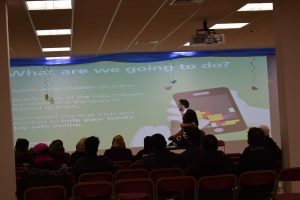 Thank you to those who attended, it was very nice to meet you all. 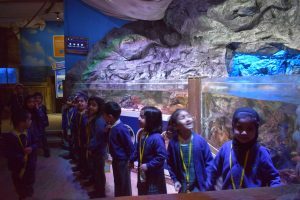 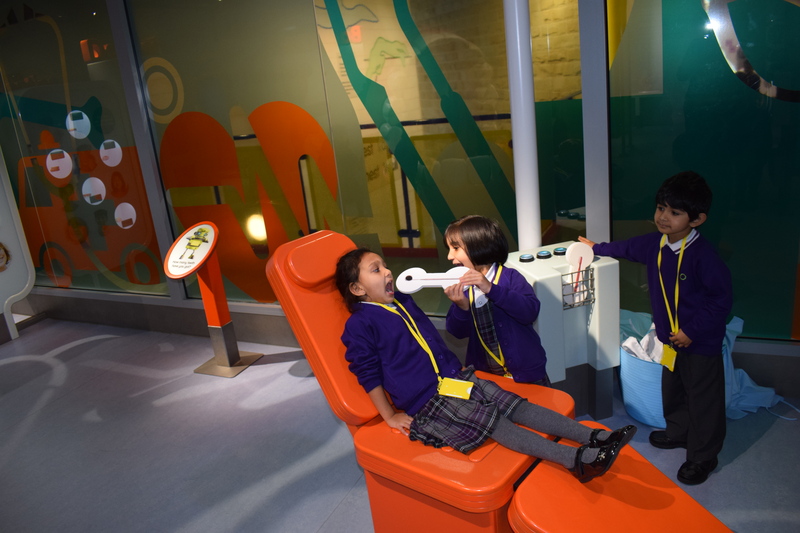 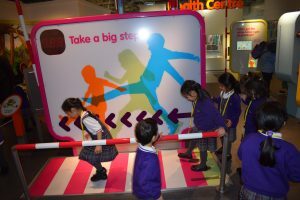 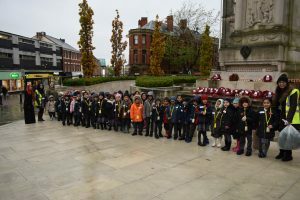 Wednesday 16th – EYFS Visit to Eureka Children’s Museum – The EYFS classes visited Eureka as part of their topic work on Autumn. Within this they have looked at the story of ‘Oliver’s Vegetables’. 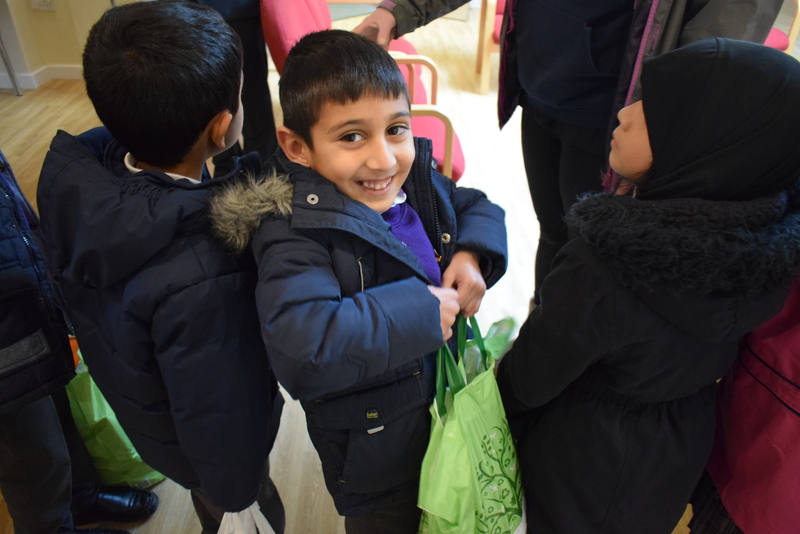 during their visit they participated in a food tasting workshop trying out different vegetables. 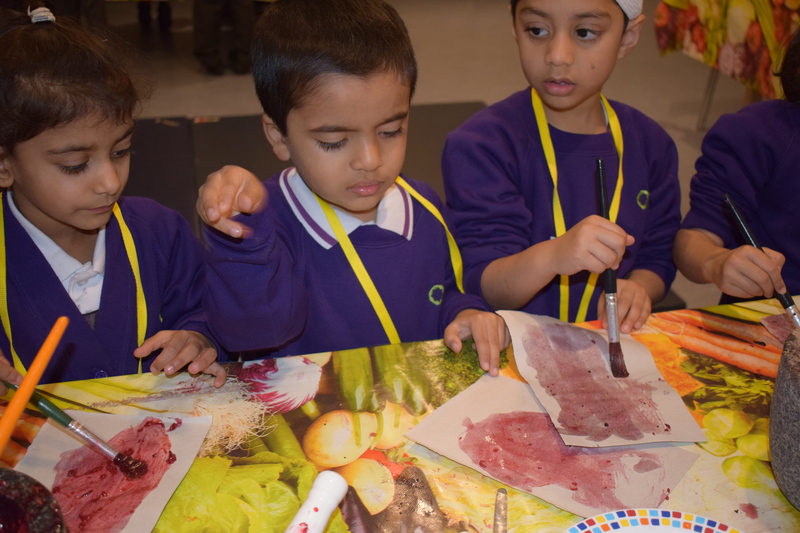 They made connections between fruit and vegetables through investigative activities. 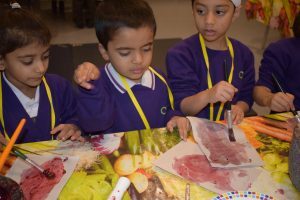 They took part in hands on sensory fun activities with peeling, zesting, grating, chopping and juicing. The pupils made links with their own diets and the importance of healthy eating. 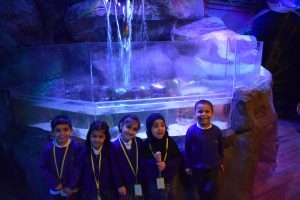 A fab day had by all! 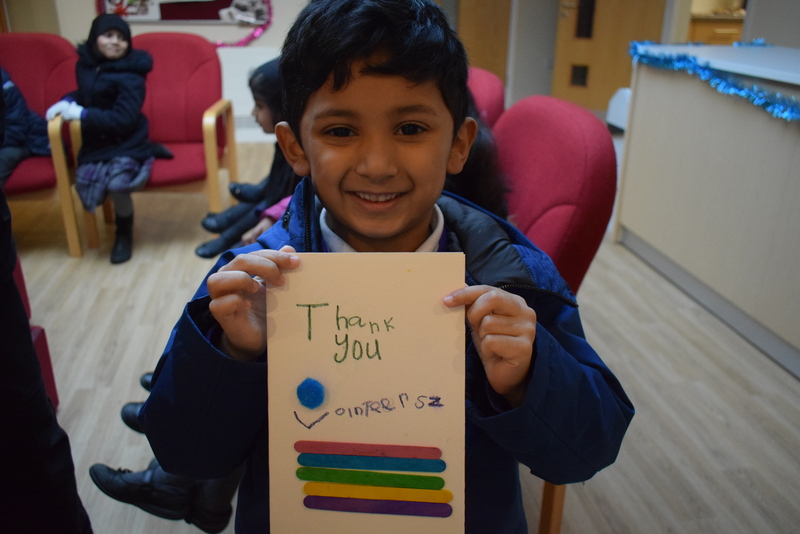 Thursday 17th – A huge thank you to all the parents who attended out first Pupil Progress Parent’s Evening. Thursday 17th – Ibn Salamah invited the children of St Joseph’s Roman Catholic Primary School, Houghton to take part in an Anti-Bullying Workshop. Pupils from both schools created an Anti-Bullying Charter, universal for all children. 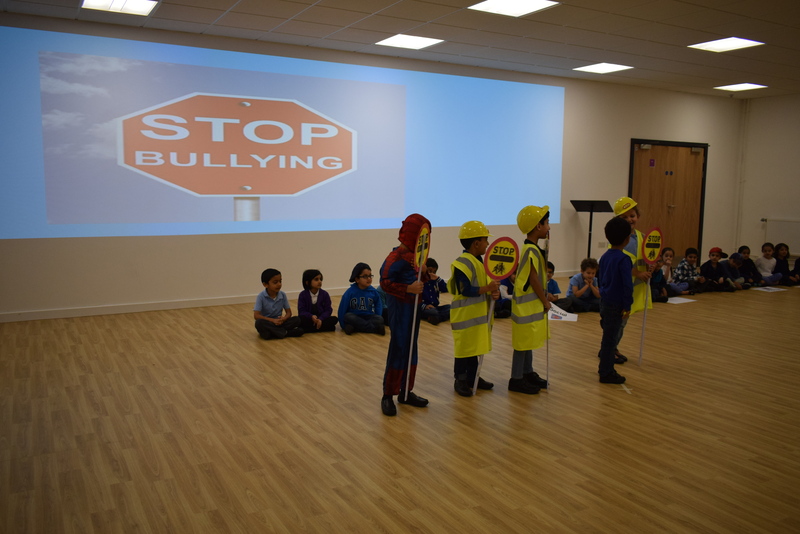 To finish our year 1 Ibn Salamah pupils presented an Anti-Bullying Assembly to the pupils of St Joseph’s. 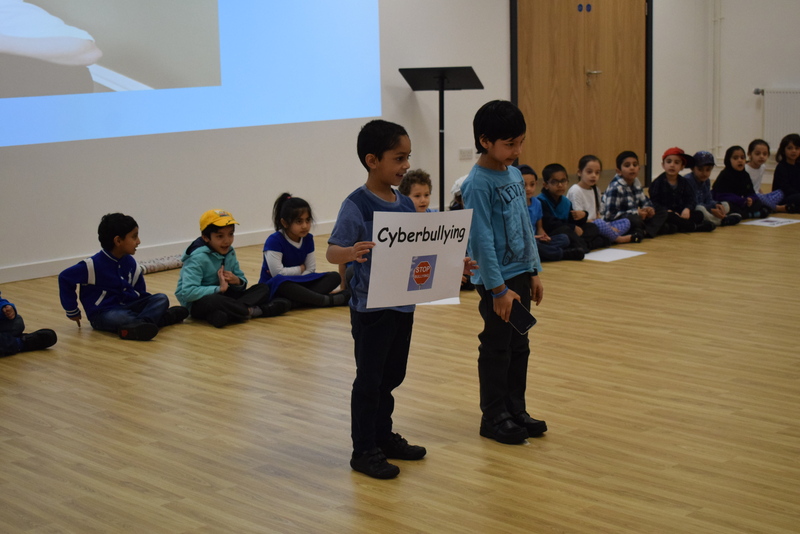 Proud parents of children in Ibn Salamah attended a separate assembly to hear the key message on Anti-Bullying. 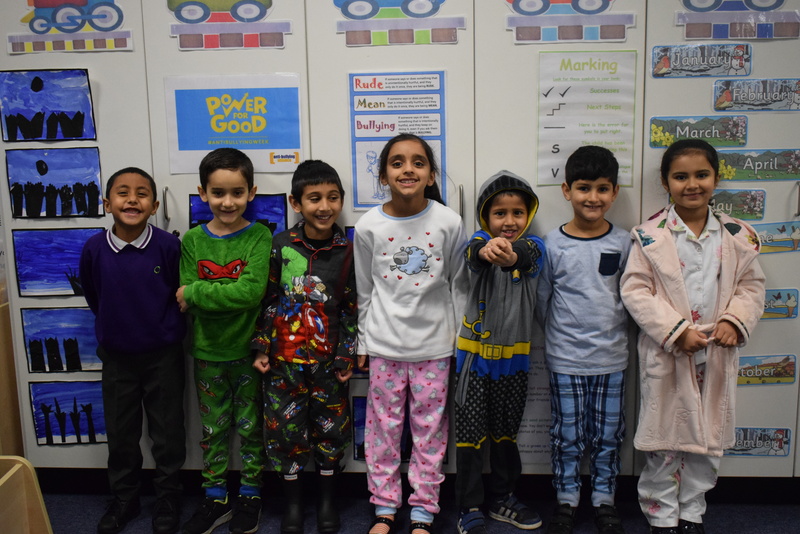 Friday 18th – Children came to school in their pyjamas to raise money for ‘Children In Need’. 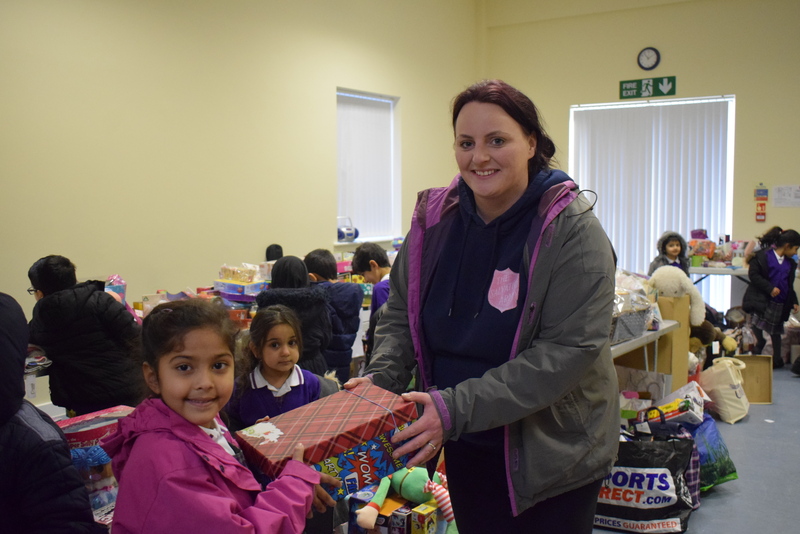 Thank you to all who took part in this charitable event. 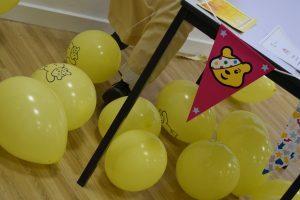 We managed to raise £121.76 for this great cause.